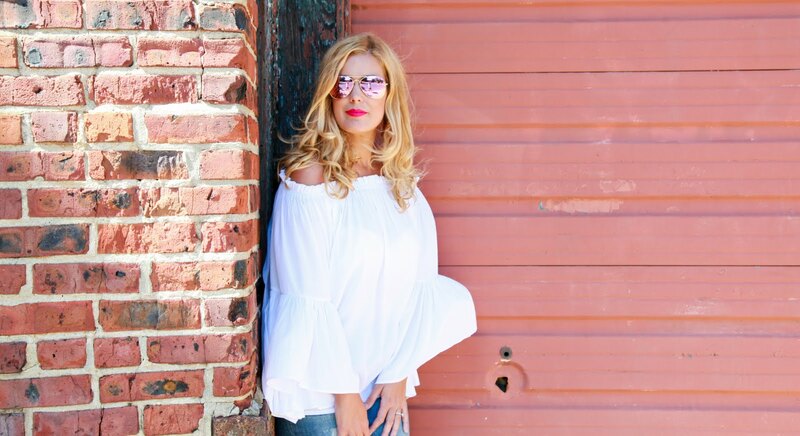 Fashion Maven... Mommy: Scorching HOT Lip! 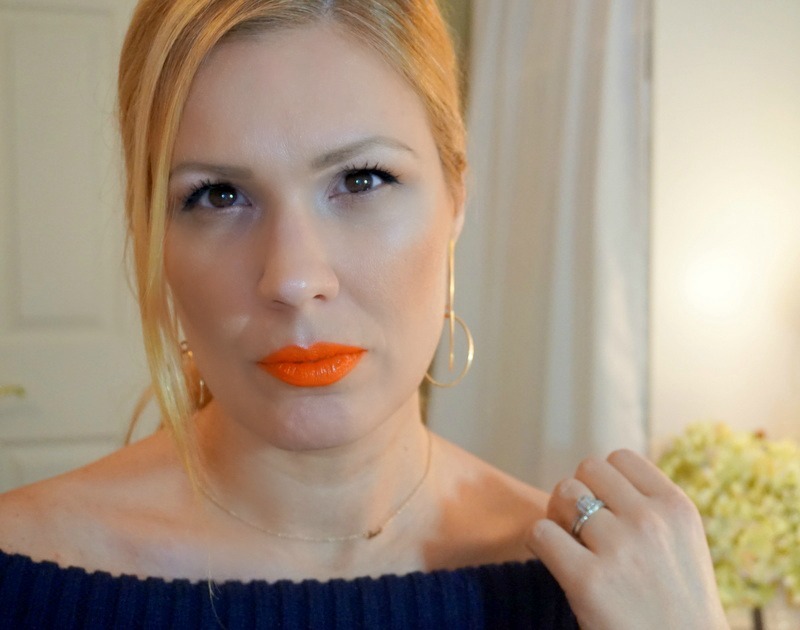 It's funny but i've always been attracted to a great coral/orange lip! There's just something so fun about this hue! Besides, it reminds me of the warm weather months which let's face it, seem light years away for many of us! Ugh... Summer where are you? A few weeks ago, the Kardashians took a family trip to Costa Rica (trying not to hate on that situation but considering i'm surrounded my snow and slush i'd like a pass please!). 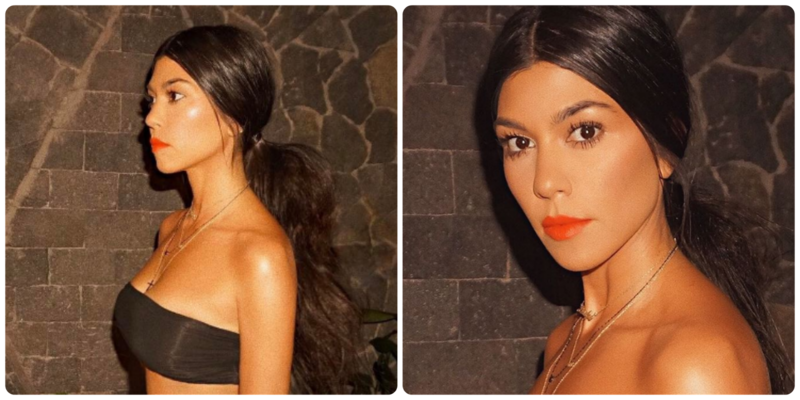 Kourtney Kardashian was spotted sporting the ultimate orange lip, created by celebrity makeup artist Hrush Achemyan using MAKE UP FOR EVER's new Artist Acrylip #300. 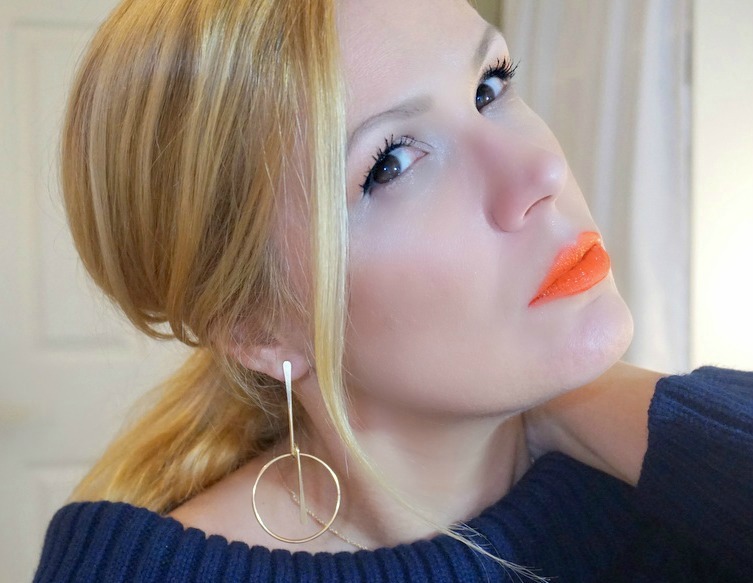 This lippie packs a serious pop for a bold change-up to escape the darkness of the winter and transport your look for an unexpected tropical vibe! Inspired by the boldness of acrylic paint, Artist Acrylip, one of the newest collections for 2017 from MAKE UP FOR EVER is a line of highly pigmented lip colors that are long wear and can be worn in a range of ways based on application. Kourtney looks flawless in this lippie! Her gorgeous sun kissed skin, bit lashes and statement lip are such an inspiration for my Spring and Summer beauty look! While an orange lip may intimidate many, i'm here to tell you it actually works so well on most people! MUFE's Acrylip is buildable so you can control the intensity of the color! This lippie looks insanely beautiful on Kourtney and her dark features. I happen to think it looks incredible on blondes as well! The cushion applicator and formula are the perfect marriage! 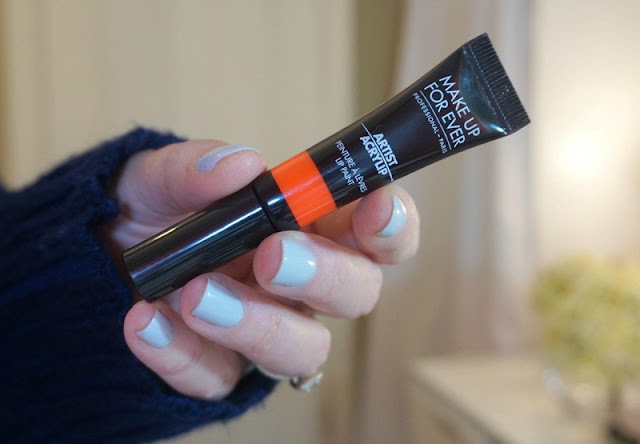 Simply apply one tiny drop and let the cushion do the blending for a soft look. 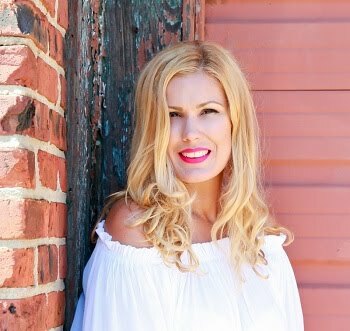 If you're all about that bold lip, add a few more drops as you swipe along the contour of the lips for a more intense look! Either way, i'm obsessed with this color, formula and applicator! I have yet to put this beauty down since it arrived at my door and fully intend to add a few more to my collection! This, in my opinion is a must-have!